This intermediate-level, four-day expedition was designed for the avid dinosaur-lover. 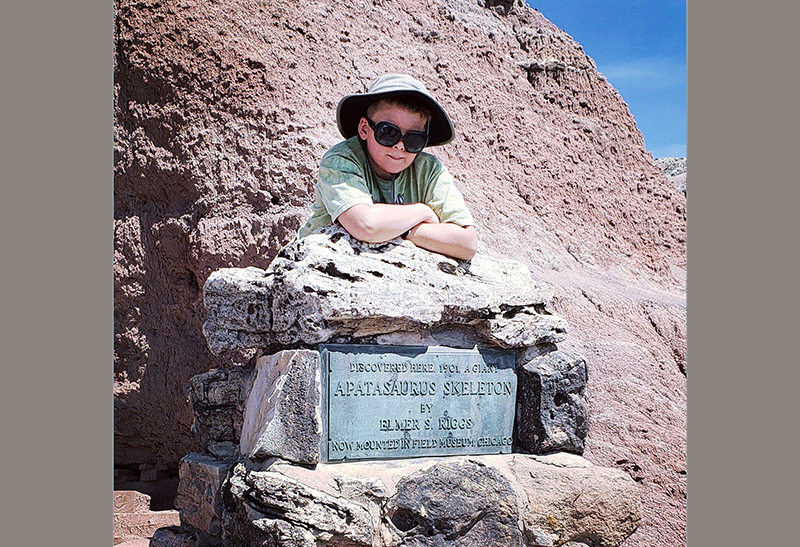 Get a full taste of paleontology on the Western Slope as we visit historic dinosaur quarries and learn about the regional geology and history of paleontology in our area. Then dig for dinosaurs in the real “Jurassic Park” at the Mygatt-Moore Quarry and learn how to prepare and restore dinosaur bones in our paleo prep lab at the Dinosaur Journey Museum. Bring your hiking shoes, a water bottle, wide-brimmed hat, sunscreen and bug spray. Lunch is included each day. Requires prolonged sitting with repetitive work on small objects. Lodging is not included. Minimum age: 8 • Ages 16 and under must be accompanied by a paying adult.